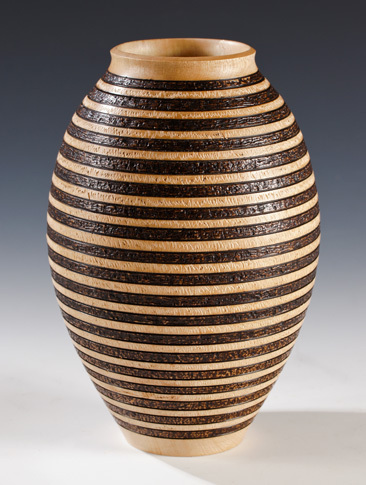 This vessel and the other Jacaranda pieces were all made from one tree that fell down during the devastating floods of 2011 that submerged vast areas of Brisbane, the city where I live. On the wall of the 130-year-old pub near my house there is a series of marks that show the high points of floods since the 19th century. Last year's flood was one of the worst and the series of rings on this vessel remind me of the long night when we stayed up watching the water creep closer to our house.